High channel count data acquisition system with built-in data logger and powerful data processing computer, touch screen display and internal batteries for maximum portability. 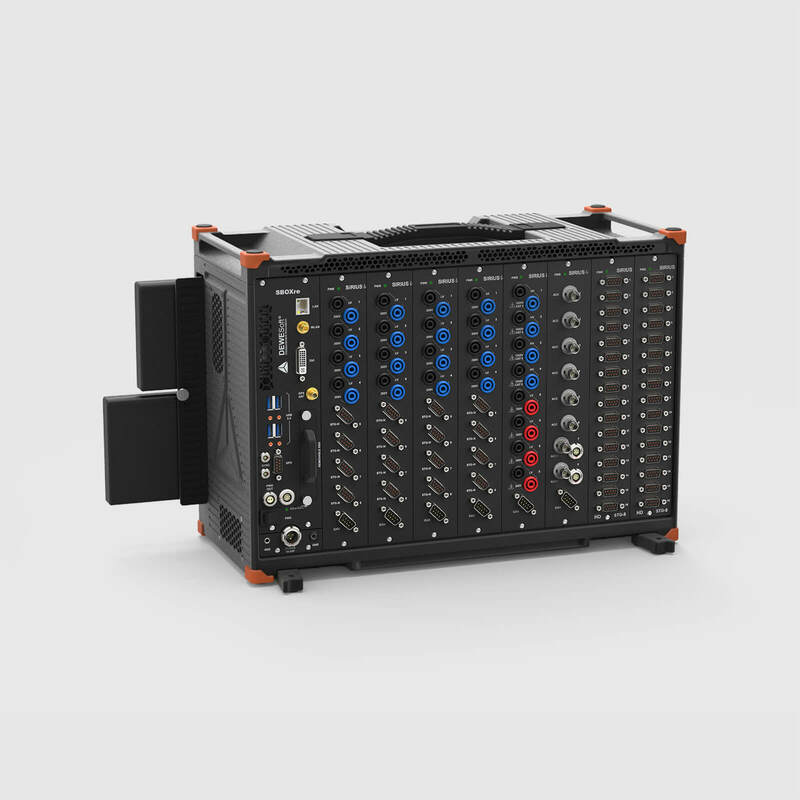 ALL-IN-ONE INSTRUMENT: R8 instruments are high channel count, standalone DAQ systems with built-in powerful data processing computer, SSD data logging capabilities, touch-screen LED display (R8D and R8DB), and internal Li-Ion batteries (R8B/R8DB) for maximum portability. 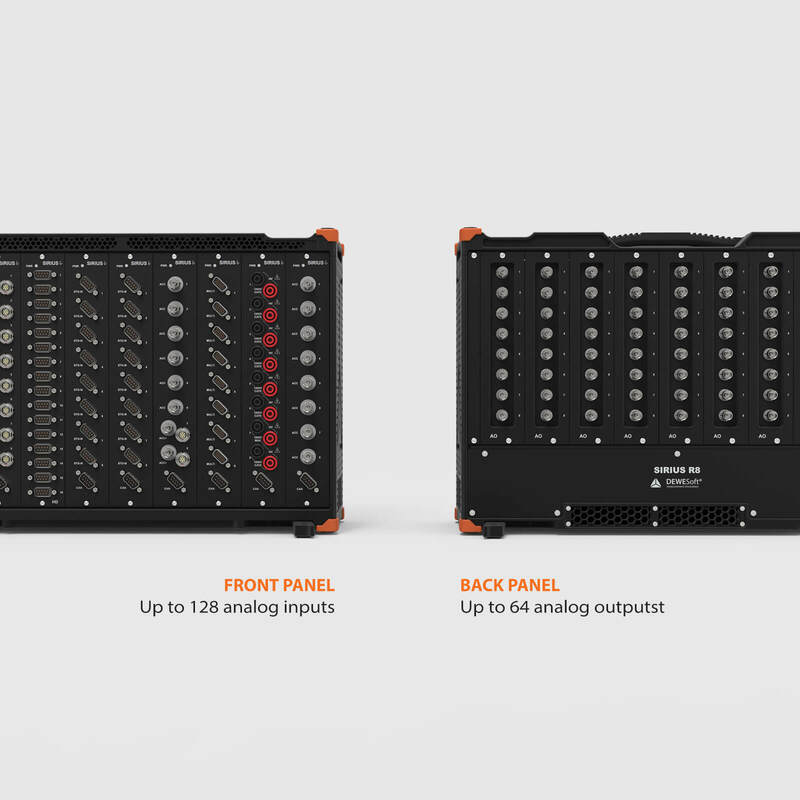 UP TO 64 COUNTER/ENCODER INPUTS: R8 DAQ system can be configured with up to 64 counter/encoder or 192 digital input channels, all equipped with our patented SUPERCOUNTER® technology. 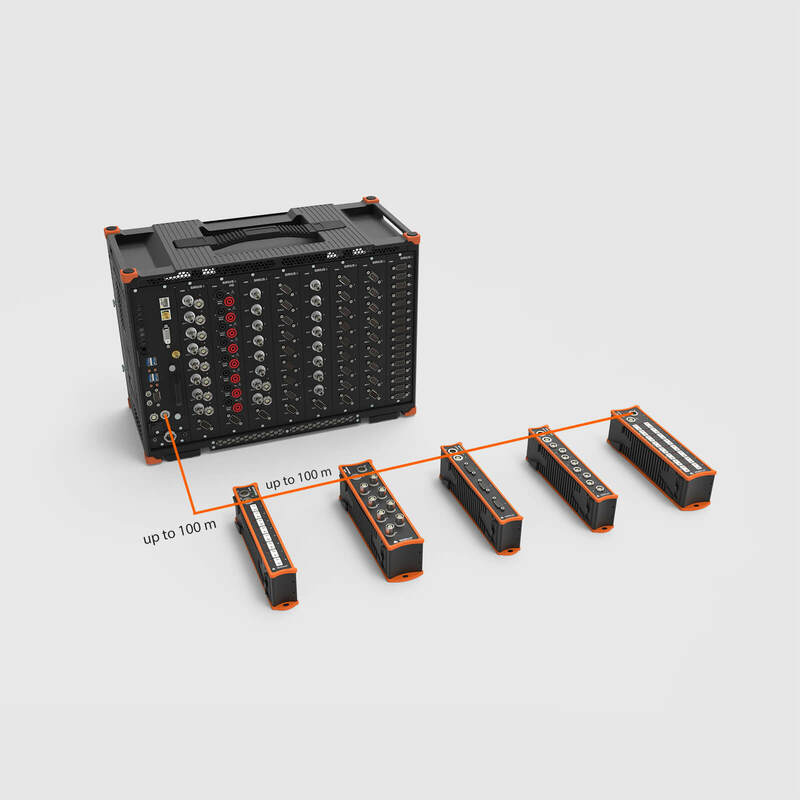 UP TO 8 ISOLATED CAN PORTS: Configure up to 8 high speed CAN 2.0b channels with 1 Mbit/sec data throughput with additional support for CCP, OBDII, J1939, and CAN output. UP TO 64 ANALOG OUTPUTS: R8/R8B can be configured with up to 64 analog outputs and can function as a multi-channel function generator, analog replay, or control device with the output voltage signal of ±10V. ETHERCAT MASTER PORT: R8 DAQ systems include an EtherCAT master port with built-in synchronization for easy connection and extension of any of our EtherCAT based DAQ system like KRYPTON DAQ modules or SIRIUS DAQ system. 100 Hz GPS WITH RTK: Optional 10Hz or 100Hz GPS receiver with additional RTK support can be built straight into R1DB/R2DB DAQ system. 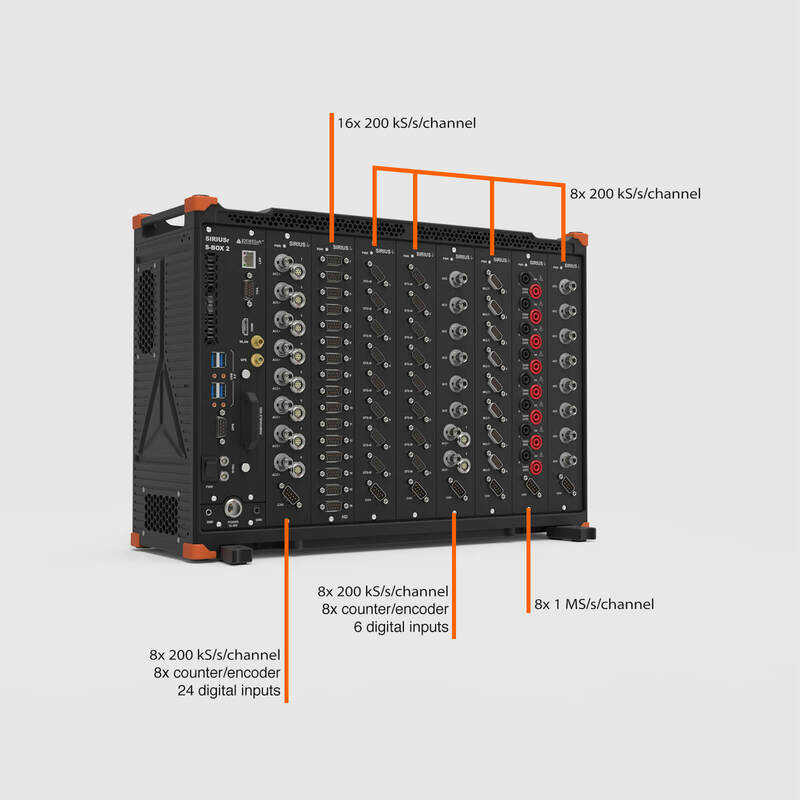 R8 is a high channel count, all-in-one data acquisition system build around SIRIUS DAQ technology. Systems feature DualCoreADC® analog inputs with 160 dB dynamic range and acquisition speeds of 200 kHz per channel or optional high-speed amplifiers with speeds up to 1 MHz per channel. 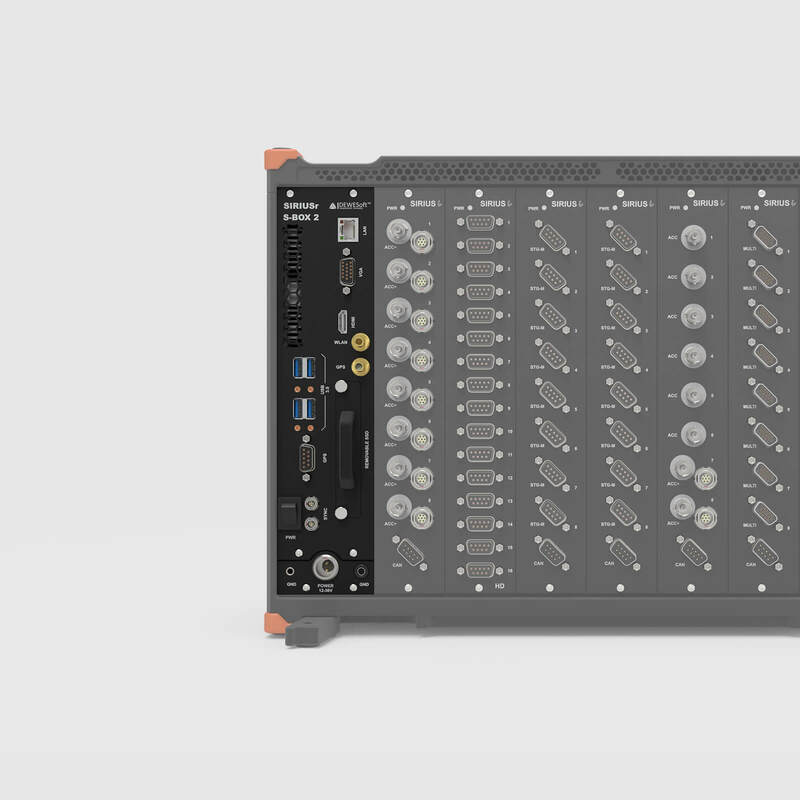 R8 chassis can hold up to 8 SIRIUS DAQ slices with the total of 128 analog channels, 64 counter/encoder channel, 192 digital channels, and up to 8 high speed CAN bus ports. An array of different amplifiers are available for virtually any signal and sensor. 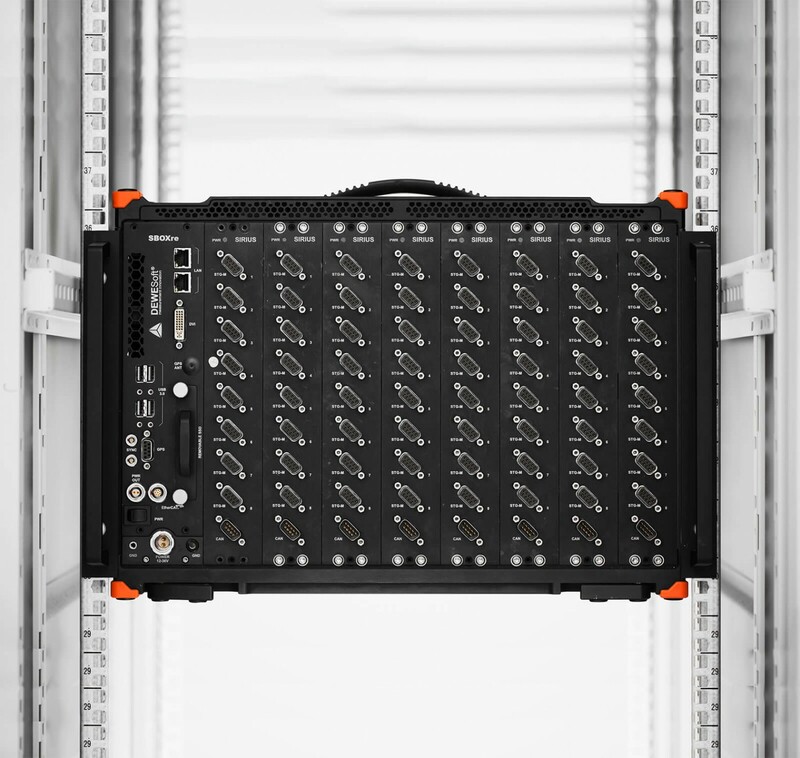 in one compact, rugged chassis. 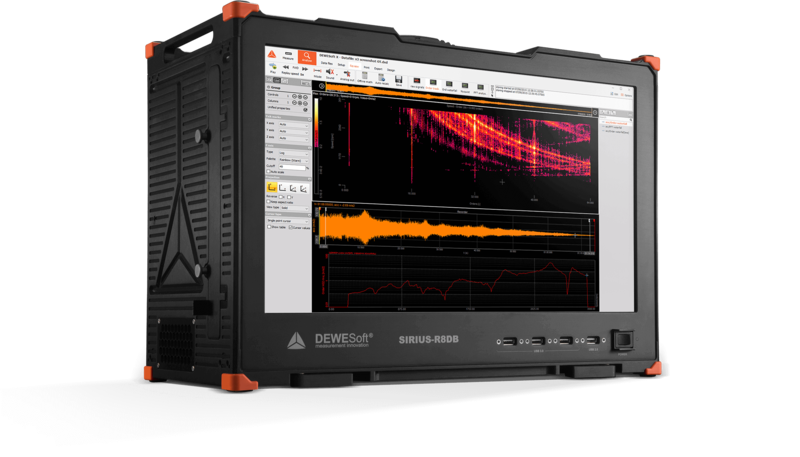 This makes R8 one of the most compact data acquisition systems on the market. 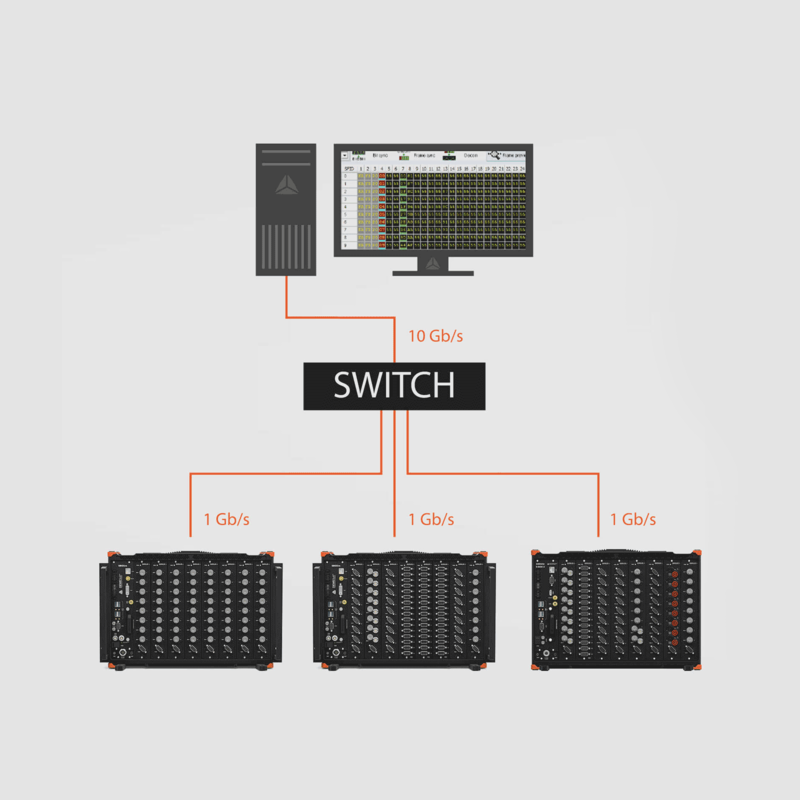 If that is not enough channels, multiple R8 DAQ systems can be connected and synchronized together to form larger DAQ systems with thousands of channels using Dewesoft NET technology. 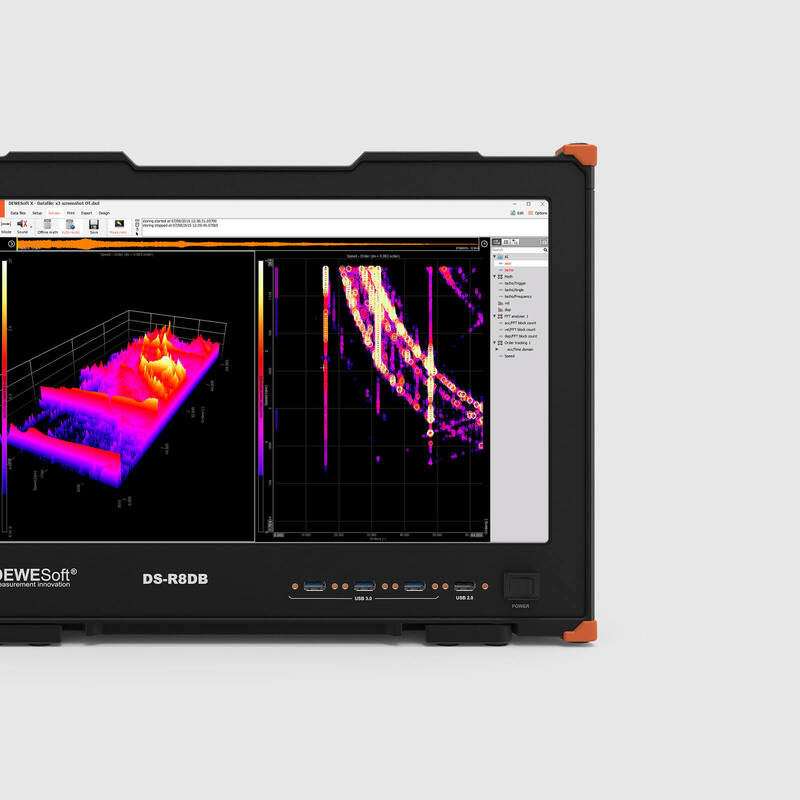 R8D and R8DB DAQ systems have integrated 17'-inch high-brightness, multitouch display with Full HD resolution. The display provides enough resolution for all your visuals and enough visibility even in the harshest environments. The high-quality display allows wide viewing angles. Included Dewesoft X3 software is build to be touch-friendly and includes smart visual controls and graphs that allow easy multitouch gesture-based operation. Network interfaces: 1x GLAN, 1x WLAN, optionally with two GLAN ports. HDMI and VGA video: for connecting an external display. R8B and R8DB data acquisition systems have built-in 384 Wh Li-Ion batteries for maximum portability. The Li-Ion batteries included in the R8B/R8DB systems are hot-swappable. This means you can exchange and replace the batteries even during your measurement without the need for restarting the system and interrupting the test. For added real-time control capability visit R8rt DAQ and control system page. R8rt is a unique solution on the market. 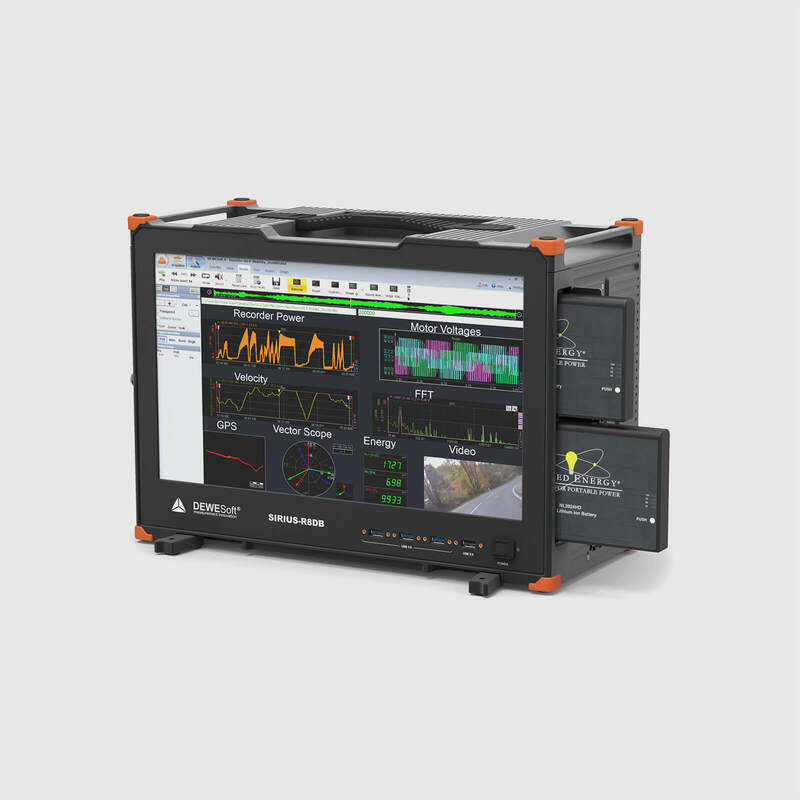 It has additional real-time EtherCAT bus and can feed data to any 3rd party EtherCAT master controller for real-time control. R8 instruments are equipped with EtherCAT master port which can be used to expand and distribute additional DAQ channels with any of our EtherCAT based DAQ units like SIRIUS and/or KRYPTON DAQ modules. EtherCAT port also includes hardware synchronization hub to synchronize all the connected EtherCAT DAQ channels with internal R8 DAQ channels. GPS and RTK option will transform the R8 system into powerful automotive data logger for an advanced position based test and measurement applications like pass-by-noise, vehicle dynamics, brake testing, road load data, ADAS and more. 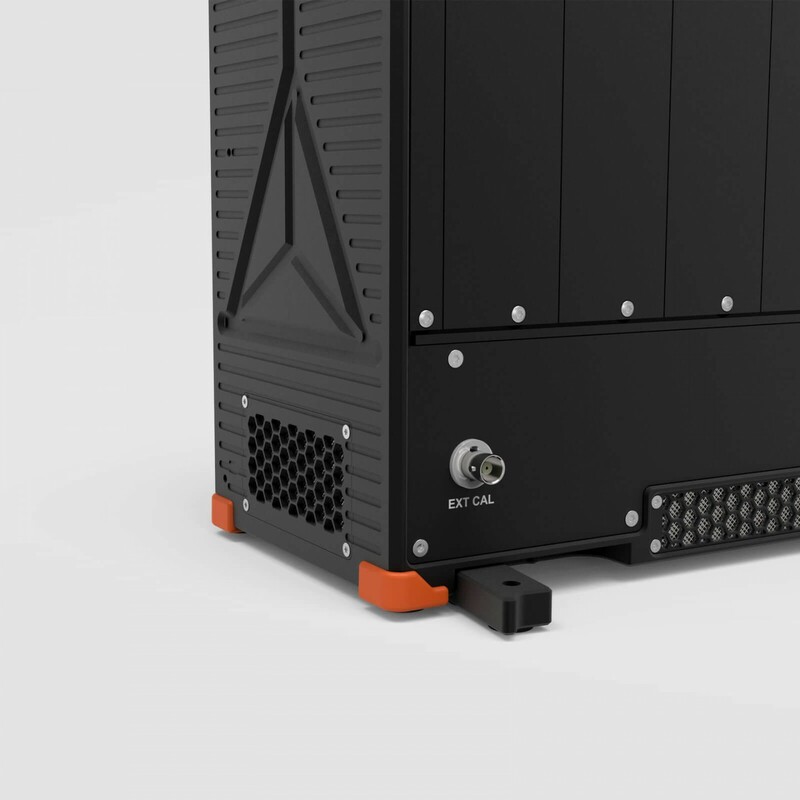 R8 DAQ systems are built in the extremely rugged aluminum chassis and tested to work in all sorts of scenarios. 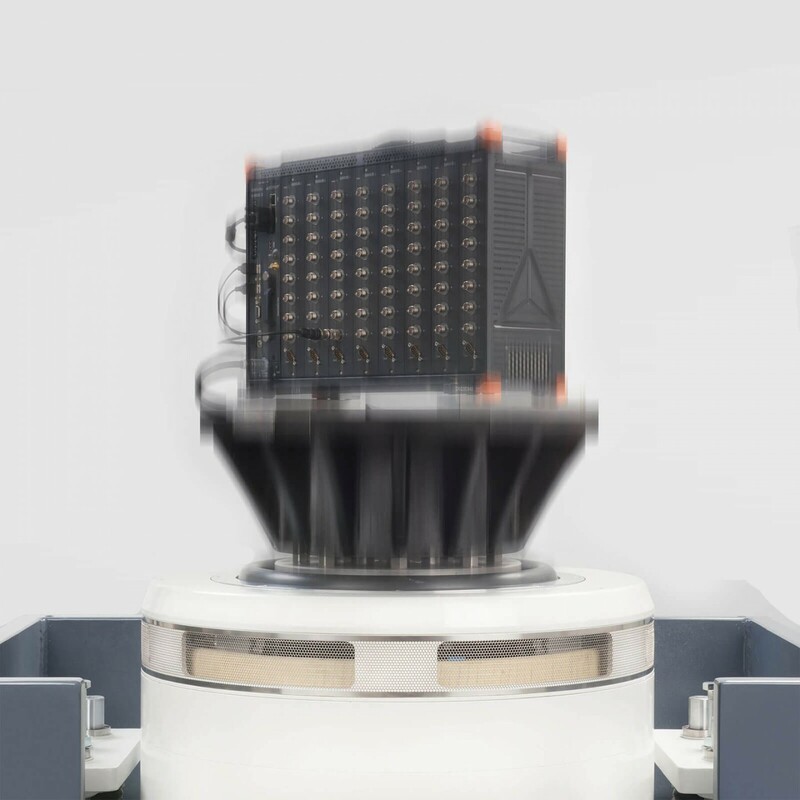 It is even possible to optionally upgrade the base R8 chassis to withstand 3 gRMS random vibrations for 10 minutes in each direction, suitable for applications like rocket launch pad installation. 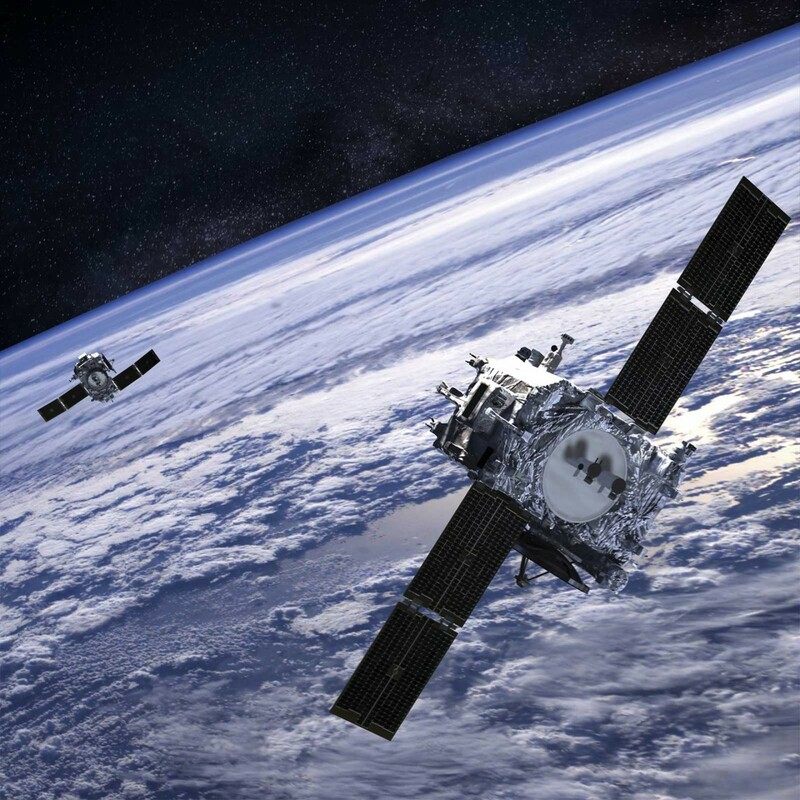 R8 has been installed in test beds, rocket launch platforms, vehicles on proving grounds and ships. R8 system features optional cal reference input. External calibration reference can be connected via single BNC connector on the rear side of the R8 and can be switched in the software to all input channels at once to check the amplifier performance and accuracy. 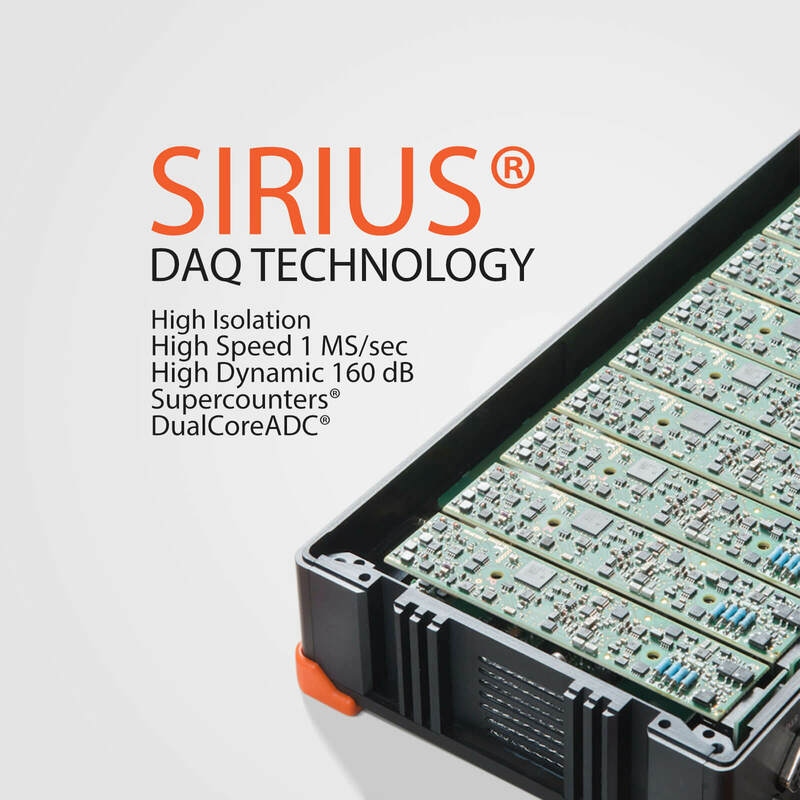 * Please check your local sales office for information which Sirius amplifiers have the support for external cal reference.